I love Halloween and I'm really looking forward to my project class featuring the Spooky Night suite from the Autumn/Winter catalogue. 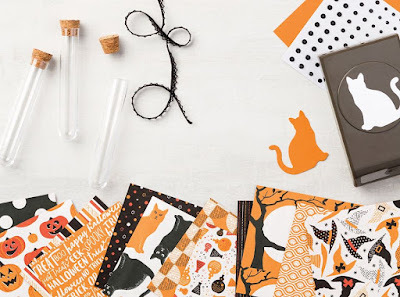 The suite has everything you need for your Halloween crafting including patterned paper,cardstock, jewels, crochet trim and the cutest mini test tubes ever!! There is also the Spooky Cat stamp set and matching punch. 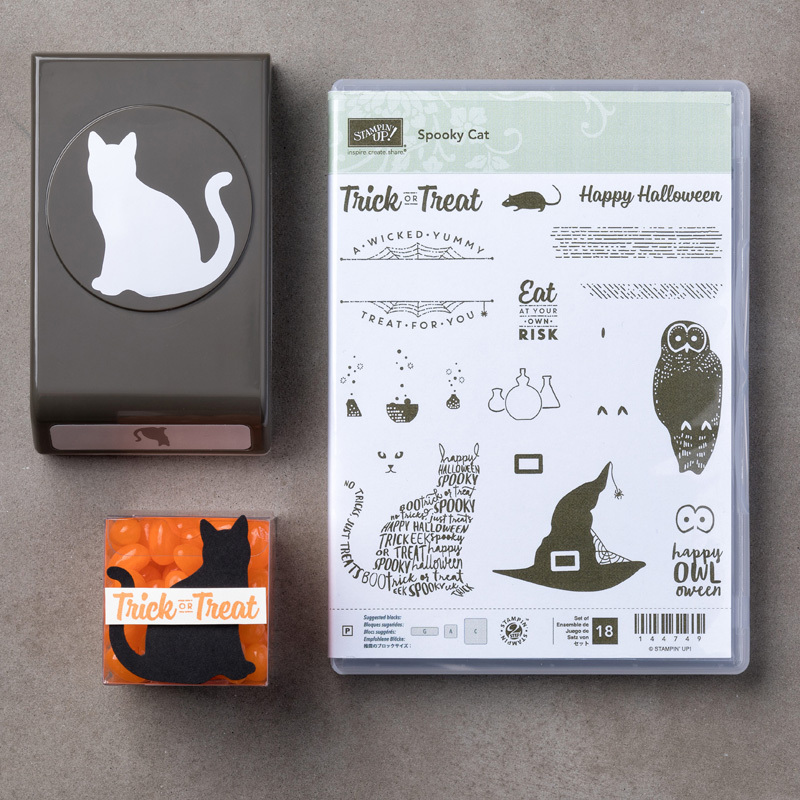 The stamp has a cat image but did you know that you can use the punch to punch out the cats from the matching paper? How handy is that? 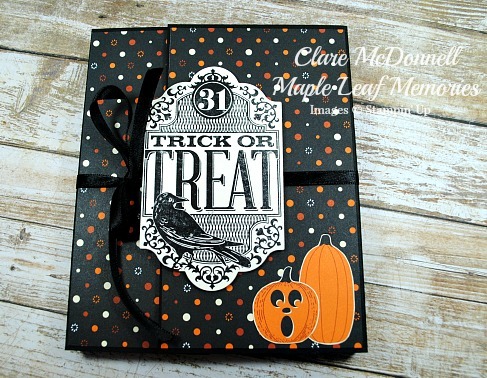 One of the projects we will be making is this mini album featuring the Spooky Night Designer Series Paper. I've used a retired stamp for the front cover but everything else is current. 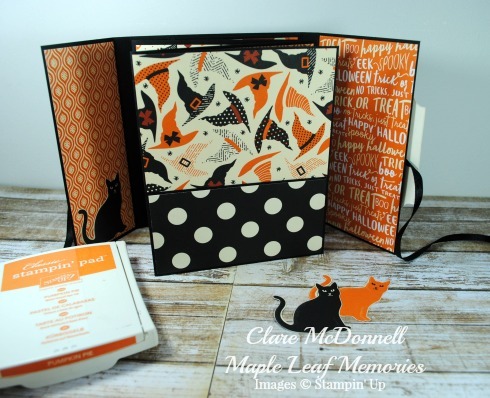 The album is 5" x 6" and has lots of space and pockets inside for photos. I've also fussy cut lots of images from the patterned paper to decorate the inside of the album. Don't forget to use the Hostess Code for October when ordering which is YDEAEZTX and receive a thank you gift from me. 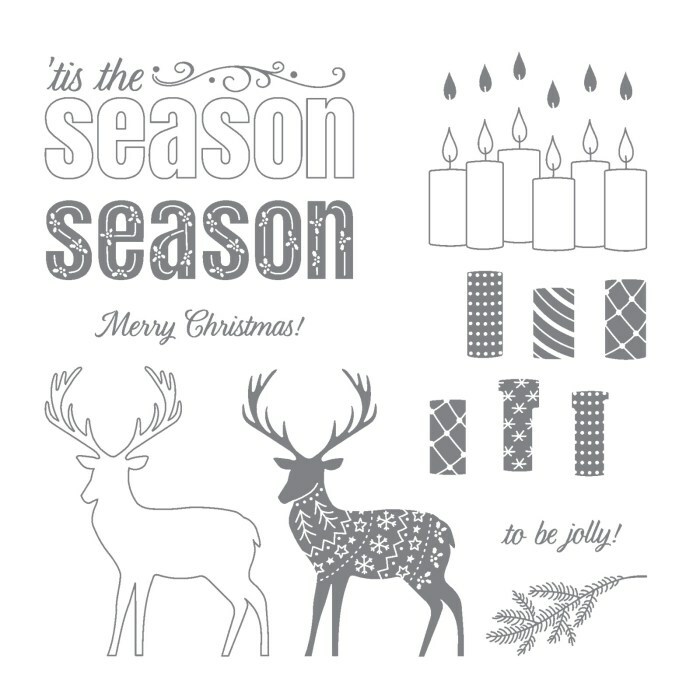 If you place an order of £250 or more you will receive the Merry Patterns Stamp set in your parcel for free!